Have been a professional massage therapist for many years. This course was very informative and professional. It brought back many conditions and treatments I had forgotten about. I appreciate the thoroughness and quickness of your institute in allowing me to get my CEU’s needed to renew my license. 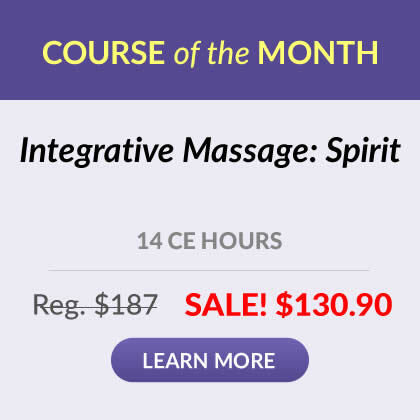 Excellent course for any massage therapist or anyone dealing with chronic pain. There are great tips to suggest for clients with chronic pain. Personally, I struggle with arthritis/inflammation pain and this article has given me some new treatment options to investigate for myself. Useful information presented clearly and concisely! I deal with many patients on a daily basis struggling with chronic pain.This course presented information that will be very useful in viewing these cases in a different, more understanding light. I have used the Institute before and have always been extremely pleased. Would definitely use again and recommend to others. Thank you!! I really appreciate how the course includes a wide variety of holistic options in terms of supplements, foods/herbs and therapies. This course will help me to understand better those clients dealing with chronic pain. I liked that it covered various techniques that could be helpful to a client, including the simple reminder that we should try to move all our joints each day (if not contraindicated). Course has some interesting recommendations I can relay to my clients. I liked the wide variety of options for dealing with pain. I can definitely use this information in my practice. I was diagnosed with Rheumatoid Arthritis 6 years ago and I see clients that are experiencing chronic pain. I found this course very helpful both personally and professionally. I look forward to trying some of the recommended interventions to reduce abnormal inflammation and bring body/mind/spirit back into a healthy balance. Having taught in-depth Neurology in Nursing; developed Continuing Education programs;as a Practicing Massage Therapist; a current Medical Hypnotherapist and former writer of test questions...... my evaluation: -the explanation of the pain process, the supporting physiology and the presentation style were among the easiest to understand and by far the best for student learning. -The flow of content was consistent and went from simple to complex in nature but still understandable -The test questions were constructed appropriately with the exception of #'s 10 & 21". Put "it" and "to" in the stem of the question to reduce redundancy in the foils. Kudos to the writer. Well done indeed !! This course can be used by anyone wanting to help cope with chronic pain. Easy to study use. Great information on chronic pain and treatments. I frequently take my courses through the Institute being they are always meeting my expectation and I continuously learn additional information to weave into my personal life as well for my clients. I strongly recommend this course to be a mandatory course as the ethics and research is. Our role as practitioners are to be as compassionate, develop strong listening skills, grounded within ourselves and the role with a client and understand the depth of importance to what it means to be a CHRONIC PAIN PERSON! One's entire self - body, mind, spirit , religious beliefs, lifestyle plus must all be taken into consideration.This alone will help guide a person to regain hope towards living a greater quality of life pain free. This course contains a lot of valuable information. It is very informative. I found this course very beneficial. Well organized and informative. New Concepts were presented. The information can be used and will be used in my practice. Great course, easy and affordable too. I think that this is an excellent course. Although the booklet is short, I learned more from this than many extensive courses. It really help my attention, has many valuable pointers some of which I was already aware of, but quite a few other that I did not know. Good information to refresh our knowledge on current Chronic Pain studies when in need of CEUâ€™s. The course was quick, easy and informative. 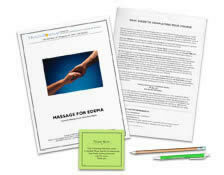 The knowledge gained from the course will help tremendously in my Massage Therapy practice. Absolutely one of my favorite courses to date, and I highly recommend it to everyone! Good course. Upfront teaching -not tricky. Informative. Was beneficial, generalized information; felt it could have been added upon with specifics pertaining to massage therapy modalities. Appreciate the holism of the course with inclusion of all realms. Great course! Extremely well written and easy to understand. I highly recommend this course to anyone who wants to advance or improve the knowledge of Chronic Pain. Very informative program. 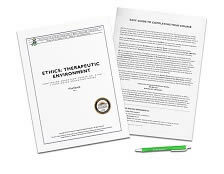 This program will help the client as well as the therapist. I really enjoyed the Chronic Pain Management workshop. It was highly informative. I definitely gained new knowledge especially from the nutritional aspect. Very good information! Very easy to read and understand. This course was very informative and was presented in a very easy way to understand. I would recommend this course to anybody who works in the field of healing and wants to learn more about how to deal with chronic pain. I love this site and will continue to take more courses here. It is so easy to navigate this site and find another interesting topic. Thank you to all of the people who are running this site. The course presented concise and direct information without a lot of superfluous information, which for me helps me to retain the important points of the topic which makes it easy to present to my clients. This course was pretty thorough and touched base on more than I expected such as nutrition, etc. The info can be used in my practice and also personally. Thank you. The specific therapies and treatments listed for Chronic Pain Management, along with websites are extremely helpful and a great source of information. I also appreciate the references listed for the course materials along with supplementary reading and further websites. This was a very interesting course with some really good information. Excellent course! Interesting material and I learned new information. The Institute's courses are great! Thank you for the Chronic Pain course - I have clients with chronic pain and this course gave me a broader and much more comprehensive understanding of both Acute pain and Chronic pain. This class was interesting and to the point. I have never taken an online course before and I was very pleased with how easy it was to register and complete the course. I love the flexibility of this type of learning. This course was not only convenient, but interesting. Some of the information I already knew, but it is always good to review. I also learned some new information that will be helpful. Great review of physiology of pain and how the brain differentiates between different kinds of pain. I learned facts about the body I had never learned and I know a lot! Kudos! Another well written course with lots of useful information and added websites for furthering one's knowledge. Will be doing that! Thanks. The material was well organized and clearly put together. The course was a good one. I have already benefitted from it, personally. Professionally, definitely a plus! I really appreciated the course addressing the emotional/ social ramifications of chronic pain- excellent course! The information on the links between nutrition and inflammation and chronic pain in the body was especially interesting; definitely something I'll investigate more for myself and my clients. Absolutely fantastic course! Great refresher class with lots of new and updated material for me to stay relevant & offer the best treatment possible to my clients. I'm an Army veteran and have struggled with Chronic Back pain for over a decade. My massage clients and myself will benefit from the information on this class. Thanks! I learned a lot of helpful information about chronic pain management from this course that will be of benefit to me as well as my clients. Thank you for providing an user friendly way of earning CEU's. I enjoyed this course and gained more knowledge about chronic pain that I believe will help my clients. The course was very informative and I will be able to use the information in my practice. I wish I had learned earlier about chronic pain. I also like the other information provided on alternative forms of treatment. I enjoyed the course very much. This course was interesting, well developed, and far superior to many online courses I have taken in the past. Thank you! The material was complete and easy to understand. An excellent review of Chronic Pain Management! An especially good course for clients as well as myself. Thank you. A very helpful couse. 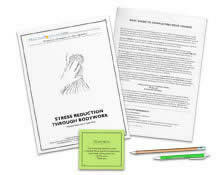 It gave me valuable tools to interact and care for my clients, as well as to manage my own experience with chronic pain. Thank you! This class will be very beneficial for me in communicating with and giving better service to my clients with chronic pain problems. Thank you! I was very happy with the course and it was very informative. I foudn the course to be very informative and relevant to my practice. It was informational. It was a short booklet, but I learned some interesting things about chronic pain. Great Class. Good and easy information to follow. Look forward to more classes through here. I picked up some new and valuable information that would be great to share with others. Very good course material. 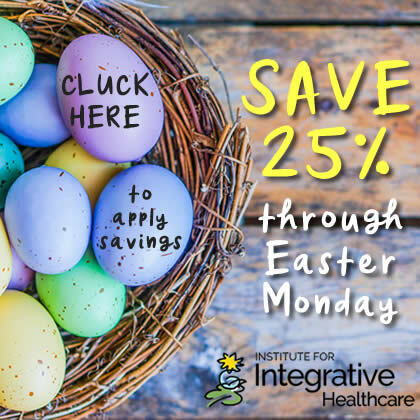 Will take another course from Institute for Integrative Healthcare Studies. Clearly presented information, informative, and useful to me both professionally and personally. Thanks! The course was comprehensive and met my needs. This course was very beneficial, and informative. I highly endorse it. I liked how it covered a variety of reasons for the chronic pain. This course material will help me explain to my clinics with chronic pain, why massage therapy will benefit them for pain management. I was happy to see there was a lot of information on different areas of Pain covered. Loved this course considering. I have chronic migraines. Now I have better insight on how to help me deal with them before I result to medications. I think that the subject matter was helpful and will be useful in my everyday practice. Not only is this valuable to my practice, but also to me personally. I am a sufferer of chronic pain, and I was able to relate to many aspects of the course content. I found this difficult in some places to find the correct answers. But eventually I was able to but it took me a long time. I did find this quite informative and helpful since I myself have chronic pain and some of the feelings that were spoken of are some that I carry as well. I use many tools to assist with my own condition and have learned some more here. I enjoyed the content. Thanks for writing it. Clear, informative and well-written text. Very helpful to my practice and refreshing and enhancing my knowledge of chronic pain management for the benefit of my clients. Thank you! Seems almost all my clients are experiencing chronic pain; this was immensely helpful! Another great course! Material was clear, interesting and very helpful to my practice. I especially liked the nutrition information and how it's linked to pain. To me, this was the most engaging of your courses so far, really inspiring me to seek out additional material. This information was so valuable to me in both private practice and personal life. I'm a therapist, but i'm also a chronic pain patient. This course helped me understand acute/chronic pain better, and some other things I can do to help both my pain and my clients pain. I loved it! I really learned a lot from this course. We hear everyday and work with people who are experiencing pain, but do not have the empathy to get to the root of the problem. Would suggest this course for every practioner. Course was great. Thank you! straightforward and easy to complete. This was an informative and interesting course. Thanks. I really enjoyed this course. The content was varied and very engaging. I found this course very enlightening and will be using the information in my practice to enlighten my clients! This may have been my favorite course thus far. Definitely what I am into. The content was clear, concise, organized well, and memorable. I enjoyed the scope of information. I will continue to learn more thru the references that were included. Thank you. I truly enjoyed this course. It is very interesting and informative. Great information to share with my clients as well. The best of it all, the course is very affordable. What a great saving! Thank you. I am so pleased, once again, with the curriculum in this and the other class I purchased! I gained more knowledge and will use this in my practice! I really enjoyed taking this course, thank you! New information gained and great review!! I enjoyed this course. There are lots of good ideas that were presented to me for the first time. I am excited to see how they will work for some of my clients. I am grateful that these courses are made available to us. They are educational and informative and help me learn what I am interested in and more about what I am dealing with on a daily working basis. Loved the course. Brief and useful! This was a great course. Thank you! After taking this course, I know that I can better serve my clients with chronic pain. Great information that can be passed on to my clients. Gained some great information pertaining to chronic pain management and how to apply to my practice. This was my first online CE class and I have to say I am very surprised that I learned so much. Great Job! Great information. Material gave excellent overview of pain and treatments. Hi I enjoyed reading the material but remembering the information was harder because there was a lot to recall. I found my self having to look back more times then i liked. The answers weren't easy to find. But I still enjoyed the material and it will be useful to me. This course was very informative. Especially enjoyed the info on dental metal chelation. One of the best I've taken with our company. I can use this information for myself, my wife, our families and my clients, friends, associates, my allopath, and other interested persons. Really very informative, well written, researched and presented in a most easily understood way. Very informative. I like that the course included information on homeopathy, herbs, acupuncture. Very well-rounded and concise. very informative, helpful, and useful. I felt the information was presented well and that it will be of great use for me at my practice. I am also a licensed counselor in Texas and have worked with chronic pain patients. This would be a good course for other counselors or other health care professionals. I am glad I chose this as one of my courses. Chronic pain is a big issue for a lot of individuals. It makes simple tasks difficult. Taking this class will help me understand what they are going through. Easy to read and comprehend and much more interesting than I expected from an on-line course. I am looking forward to my next 2 courses. This is a must "KNOW" for all Massage Therapists. I have enjoyed all the courses I've taken from the Institute. This one was particularly relevant for several of my clients. Thank you. Really enjoyed it. Information is interesting & easy to absorb & apply in my practice. The staff is extremely helpful. A pleasure to work with. This course seemed relatively easy. It was very informative and held my interest. I will be printing the information out and refer to the course to share with others. Thank you for allowing me to read the information on a normal level and not a genius level that is hard to interpret or understand. I really enjoyed this course. It was diverse and concise and gave me lots of things to think about incorporating into my practice. Very informative information, it will really help with all my clients working as an LMT & MLD therapist! Very Informative and helpful. I enjoyed reading the material. I'm always looking for new ways to help my clients with chronic pain. This course has given me a better understanding of chronic pain and valuable information to share with my clients. I enjoy the download study material, easier to view and study..
Made me realize some other avenues of helping my clients with chronic pain! Great, informative course on Chronic Pain! I liked this course very much, it is full of so much information. It has helped me understand so much about my own frustration's in the medical field as I battle chronic pain as well as help me bring new information and tools to my clients who also battle daily pain. I believe we will win the war of chronic pain, thank You. These courses are amazing and very comprehensive. I plan on taking more courses. Very interesting! This course refreshed my perspective in regards to natural and holistic pain management and treating the whole person, body, mind and spirit. This was a very informative class, thank you! This course answered so many questions for me and to pass along to my clients. Your company is the BEST! This is my 2nd course and I have been very pleased with both. I loved this course. I deal with Chronic Pain issues, and this made some things more clear for dealing with the conditions. Also, it gave me great tips on how to work on people with these conditions as well. An excellent source of information about dealing with chronic pain in clients.. And also helpful to therapists themselves. Great course. Excellent course on pain management! Informative and comprehensive with benefits to both practitioner and patient. Loved the information presented in this course. Very interesting! I really enjoyed the course; it was very informative. I focus on therapeutic and rehabilitative modalities in my practice, and this will be very beneficial. Very interesting course, it gave new insights regarding clients who experience chronic pain and how to effectively help them deal with their condition. i was excited and impressed with this course and will enjoy personal and professional benefit from information presented. Thank you! This course gave me some useful things to think about in working with elderly clientele. Good overview of various approaches to assist clients who deal with chronic pain. Easy to read and follow. Information is relevant to any one in the healthcare industry. Great course very educational, lots of useful knowledge. Course is very thorough, concise and informative. Great subject! I especially enjoyed learning about the nutritional aspects that can help chronic pain. I will start keeping a good journal to track my pain levels. Course was informative and interesting. Useful material not only as a LMT but also in my new role as a RN. It was very informative, I really enjoyed the learning. Great course, very easy to follow and informative! It was informative and easy to follow. The content was very easily understood and worded quite nicely. Helpful course for clients friends and family!